To register please complete the form below. Please note to register for more than one session you will need to register for each one individually. 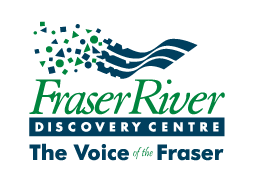 If you are an Annual Pass Holder to the Fraser River Discovery Centre this session is free (Annual Pass ID required) - just call the office to register 604-521-8401. Click "Register" to continue to the payment page. For security purposes: You will be redirected to our online payment processor PayPal to enter your payment details. Note, a PayPal account is not required to pay online you can also enter your credit card information without creating a PayPal account. If you have any questions or run into any issues, please contact us for assistance at 604-521-8401 or info@fraserriverdiscovery.org. The Fraser River Discovery Centre is committed to protecting the privacy of all personal information you share with us. We do not rent, sell or share our contact lists. The information we collect is used to process payments and to keep you informed about the Fraser River Discovery Centre.